The Leica Q combines a 24mp full frame sensor with Image Maestro II processing, with a superb Leica 28mm f/1.7 Summilux ASPH. Optically stabilised lens in a compact body. 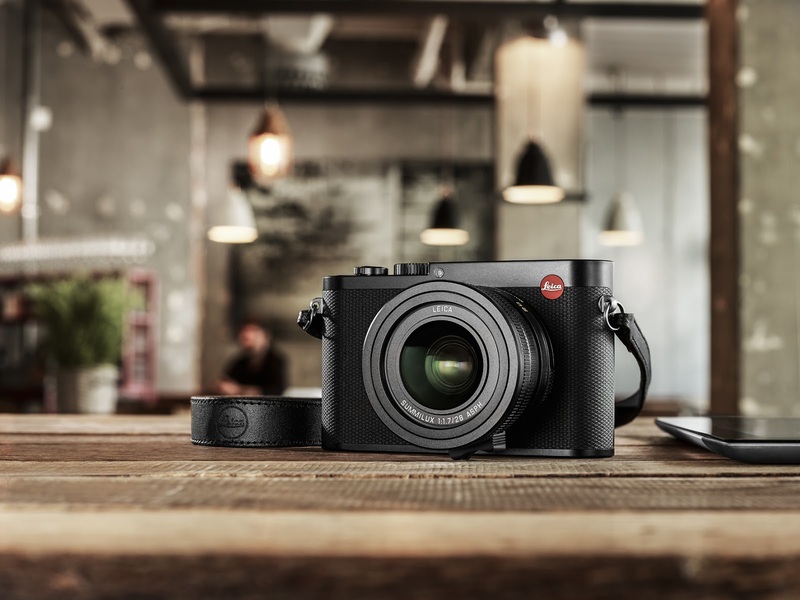 Made in Germany, the Leica Q offers superb image quality combined with ultra-fast AF performance, fast start-up times and flexibility of operation. 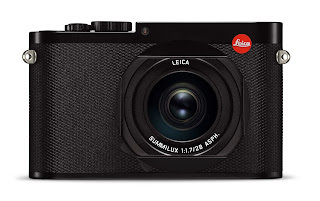 I was fortunate enough to be invited to a pre-disclosure of the Leica Q and so can give here my first hands-on impressions of the camera. The Leica Q really does look like a miniaturised Leica M with it's matt black finish and minimalist styling. Front on, the camera is dominated by the Leica 28mm f/1.7 Summit ASPH. 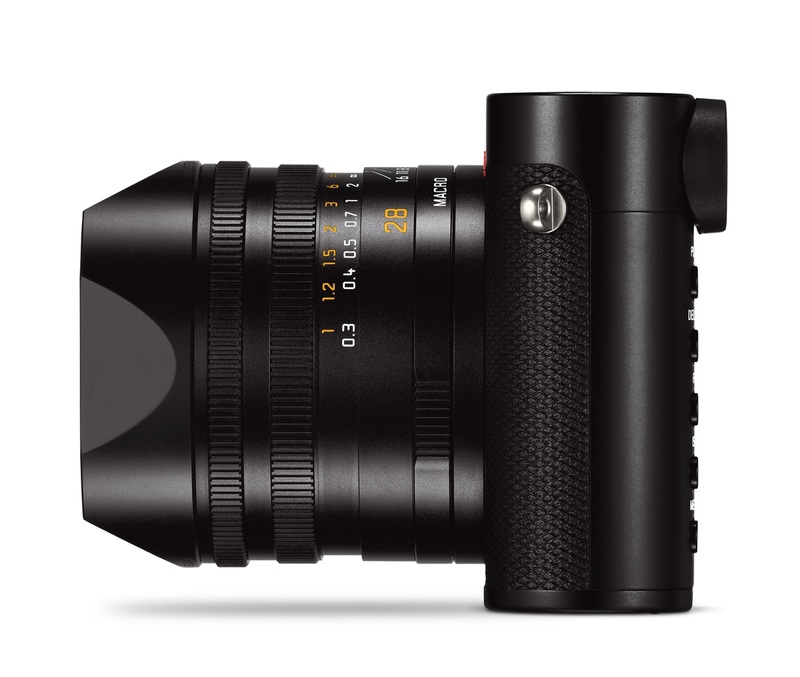 lens and has a lovely finish with a machined aluminium top-plate and magnesium alloy body. Shutter speeds are selected on the top dial and apertures on the lens aperture ring. Click both to the A setting and you have programmed exposure, with the lens on 'A' select your shutter speed using the top dial for shutter priority and vice-versa if you want aperture priority - shutter speeds from 30 seconds to 1/16000 are possible. There is a rear deal easily accessed by your thumb which also has a nice resting place sculpted out of the top-plate. The rear 1,040,000 pixel screen is impressively sharp and bright and in playback mode becomes touchscreen sensitive so you can easily scan through images or zoom in and out. You can also use the touchscreen facility to select your focus point in shooting mode. The menu system is truly comprehensive with just about every control customisable to suit the way you want to work. There is a dedicated Fn button which can be programmed to many different settings. Top left at the rear of the camera is the extremely impressive 3.68m pixel electronic viewfinder (EVF) which has an eye-sensor (when you raise the camera to your eye the rear screen switches off and the viewfinder switches on. The viewfinder is really superb, judging sharp focus and composition is extremely easy and pleasurable. The 28mm focal length fills the viewfinder almost completely, but, you also have the option to have framing lines showing for 35mm or 50mm focal lengths. Images shot with the 35 or 50 frames showing are saved in that crop. This is great as it gives you some of the Leica M advantage of being able to see what is about to enter the frame and access to two further classic focal lengths without additional lenses, adapters or cost! With 24mp to play with the images shot at these cropped settings remain superb quality and capable of huge enlargement. AF performance is extremely fast - the camera uses the very latest Panasonic AF system and so locks on to your subject without hesitation. The shutter action is virtually silent and would be inaudible in any working situation. 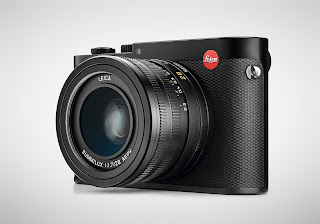 The Leica Q is capable of a fantastic 10 frames per second at full resolution. 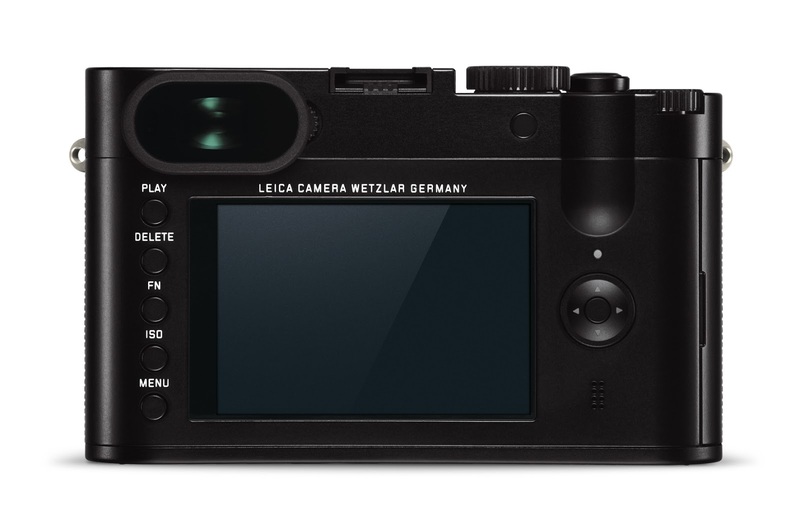 Wifi and NFC are built in to the camera enabling you to transfer images and control your Leica Q from your smartphone or tablet. 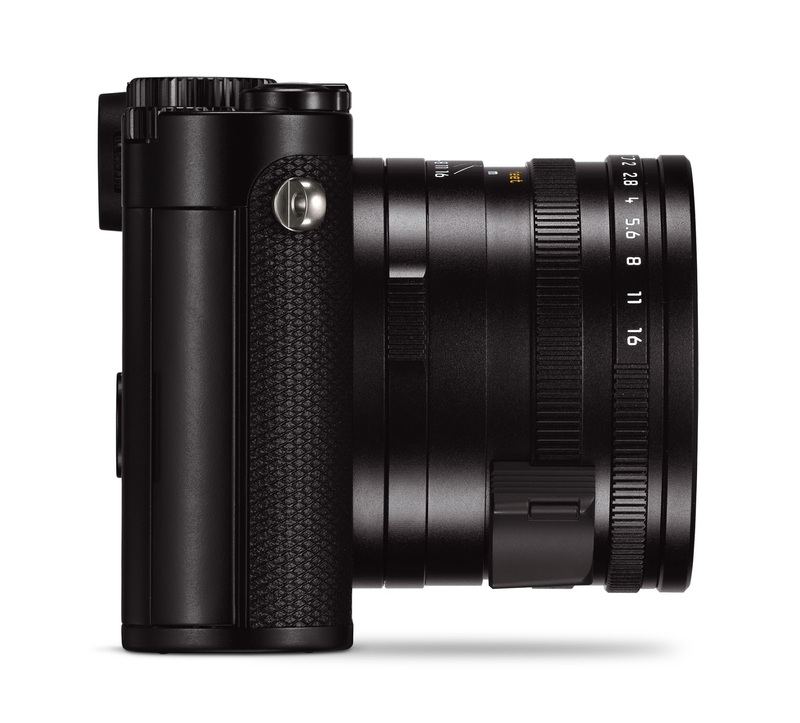 The Leica Q also shoots HD (1080p 60/30) video and comes with a hot-shoe for use with external flash should you wish to. The camera handles extremely well and I had no problems using it with my glasses on - all points of the viewfinder were visible without moving around. The camera encourages you to grip the camera with your right hand and cradle the lens with your left - giving easy access to the aperture ring and manual focus ring/lever. 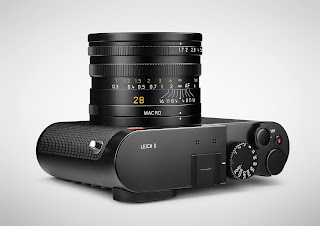 The test shots shown to us by Leica were very impressive, superb levels of detail and retention of details in bright and dark areas bode well for excellent performance from the full frame 24mp CMOS sensor. ISO comparison shots also looked extremely good and remained useable even up to 50,000 ISO. 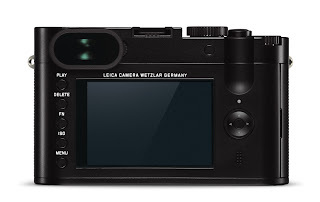 Leica also will introduce a series of accessories with the camera - including a very nice 'half case' which aids with handling providing a secure grip to the camera as well as some protection from knocks. This screws in to the bottom of the camera but has a flap for easy access to the SD card slot and battery compartment. A nice touch is sewn in to the leather of the flap is a tiny flap suitable for storing a spare memory card. Also available is a holster style case where the camera 'slots' in to the case and the strap is worn across the shoulder as well as a more traditional but beautifully crafted 'every ready' case. Special mention must be made of the Leica 28mm f/1.7 ASPH. Lens. 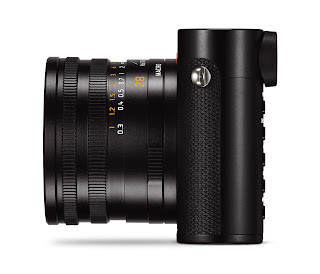 From the results we were shown this would seem to be the equal of the Leica 28mm f/2 Summicron-M for performance - one of the best lenses ever produced. The lens has a superbly made aperture ring with click stops and the A setting already described. There is also a manual focus ring - engaged by pressing a tiny button on the focussing ring lever. Switch the lens to manual focus and you can choose between a magnified view, Focus peaking (with different colour highlight options) or a combination of both. Manual focus with this camera is a real pleasure with the restricted depth of field from the f/1.7 aperture combined with the ultra-crisp EVF or rear display plus the magnified or Focus peaking options. Leica have also included a superbly made lens hood which really adds to the look of the camera without adding too much bulk. So to conclude, Leica have produced an extremely impressive camera. 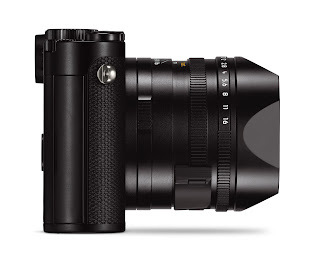 Combining a superb 24mp full frame imaging sensor, ultra fast AF system, Superb stabilised 28mm f/1.7 lens, ultra high resolution EVF and a virtually silent shutter plus the high frame rate all in a superbly crafted and compact body is really an impressive achievement. The built-in optical stabilisation and exception lens speed and high ISO performance make this a superb combination for shooting in even the lowest lighting. There is also a monochrome shooting option which looked to produce images with a really superb tonality - shoot in the DNG(Raw) + Jpeg option and you will get a Colour Raw file and a monochrome JPEG. 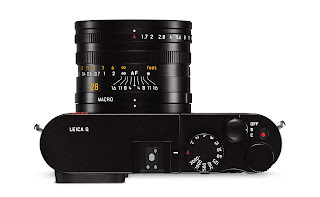 I can see the Leica Q becoming many Leica M users second body - as for the price being asked relative to the Leica M 28mm lens options you are effectively getting a superb lens with the camera thrown in free. The convenience of the AF system and electronic viewfinder plus image quality is sure to appeal also. The Leica Q is also the ideal camera for those wanting an ultimate quality street or landscape photography camera which is compact and lightweight but makes no compromises on quality or performance. I can see a lot of professionals whether they be photojournalists street or travel photographers being attracted by the combination of features and quality on offer here. When you register you Leica Q you also receive a download link for a full version copy of Adobe Lightroom 6.0. A FREE place on one of our London photo walks - an ideal time to try out your new purchase! 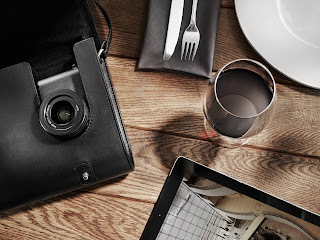 Exclusive invitations to our future Leica owner events in both London and Burgess Hill. 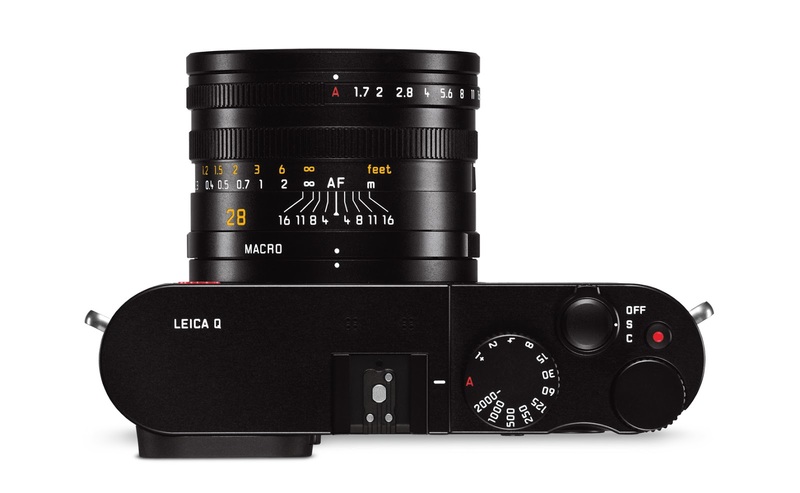 So if you are interested in the Leica Q, please come along to one (or both) of our Imaging Festivals on the 20th (Burgess Hill) and 27th June (London) or if you cannot make those days please email us HERE and we will advise you on our next Leica in-store event when you can try the camera out. If you want to pre-order the Leica Q to receive one of the first cameras in the UK please click this link or call our sales team on 01444-237070. - be quick there is sure to be a Q forming!